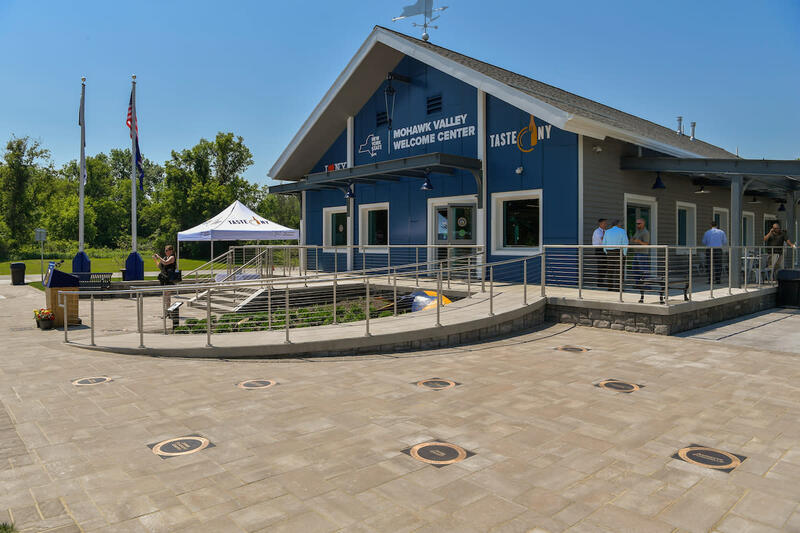 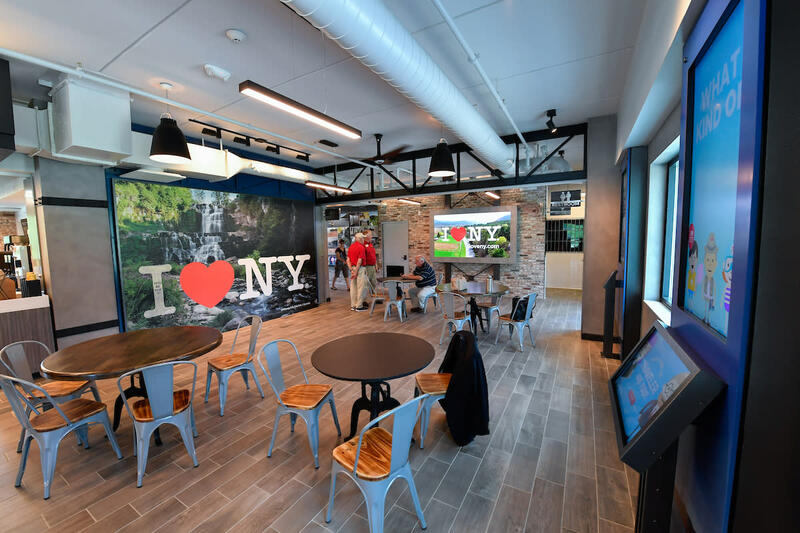 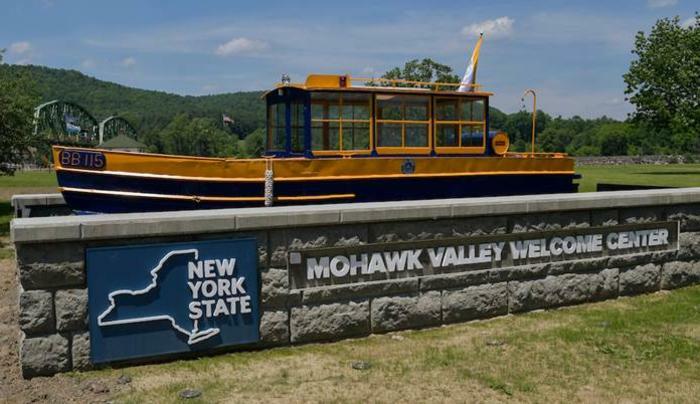 Conveniently located off the I-90 New York State Thruway, the Mohawk Valley Welcome Center pays tribute to the nearby Erie Canal and celebrates this picturesque region. 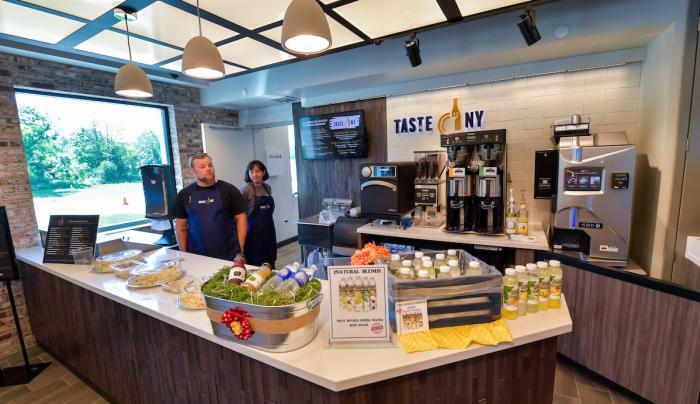 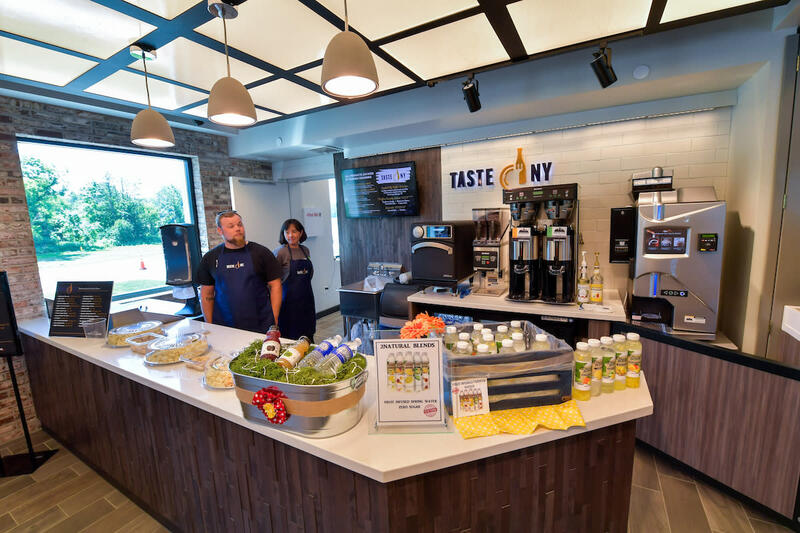 Inside the center, Taste NY items are available from a gift shop featuring two vending machines, and there are tables and chairs offering travelers a break from their journey. 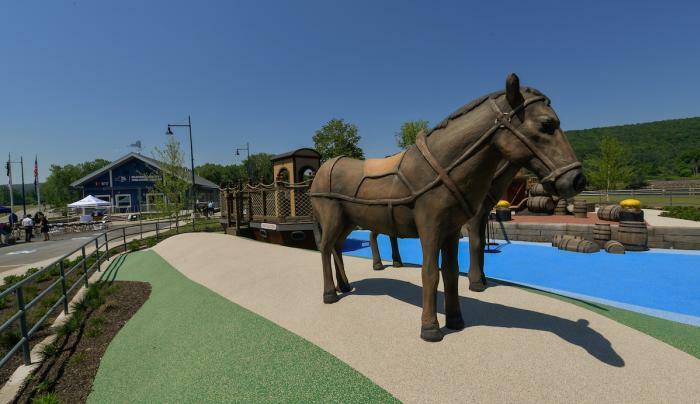 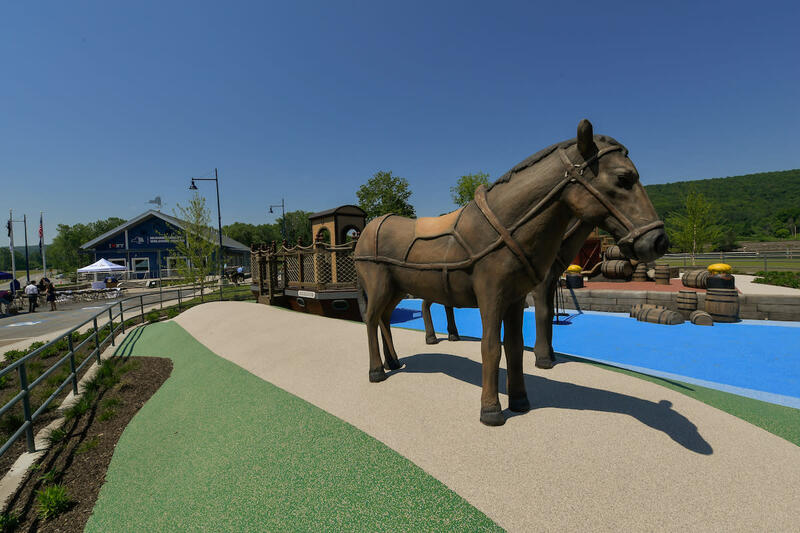 Outside, an Erie Canal-themed, ADA-compliant playground will let the kids blow off some steam, and a covered porch overlooks the scenic Erie Canal. 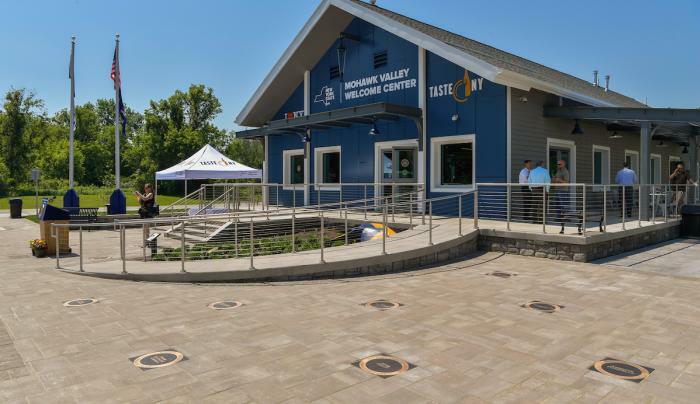 There are three electric car charging stations and animal comfort areas, and for history buffs, a Path Through History feature with interpretive panels and information about the canal’s rich heritage. 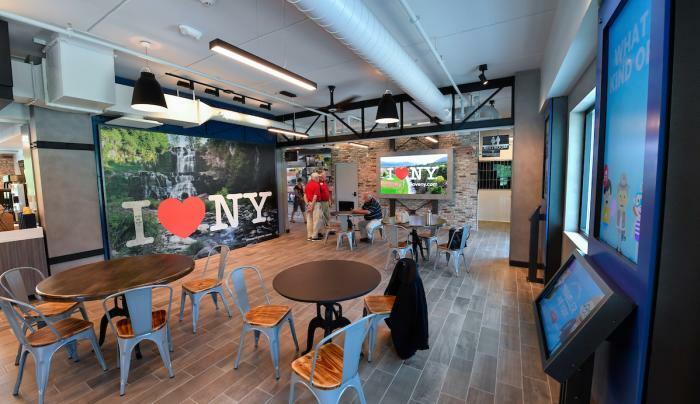 Additional amenity includes a DMV Kiosk.